Dental disease is more than just a cosmetic issue. When your feline friend or canine companion has red gums, yellow teeth, and stinky breath, it could be a sign of serious oral disease that could, if left untreated, lead to devastating effects on your pet’s quality of life. Neglecting your pet’s teeth and gums can cause chronic pain issues that may even be at the center of certain behavioral problems. That’s why Pet Dental Health Month, shouldn’t just be a February thing. We want to remind pet owners that their pet’s dental health should be a concern all year long. Start by gently handling the muzzle area for a few seconds on a regular basis to get your pet used to you touching this area. Introduce a small amount of toothpaste using your finger. Start with the canine teeth (fangs) and gradually work around the entire mouth. Be sure to include the gums as a well as the teeth. Now it’s time to introduce the toothbrush. Use one that is provided or recommended by your veterinarian. Wet the bristles and place a line of toothpaste on the brush pressing it firmly into the bristles with your finger. Hold the toothbrush like a pen and concentrate solely on the canine teeth using a gentle circular motion. You can now tart to work along the top teeth from the canines to the back of the mouth using a gentle circular motion. Gradually build up the amount of time and pressure applied to each tooth. It is not necessary to brush the inside surfaces as most of the tartar accumulation occurs on the outside surface. Your final step is brushing the front teeth. Gently take hold of the muzzle and lift the upper lip. Use an up and down motion on the front teeth. 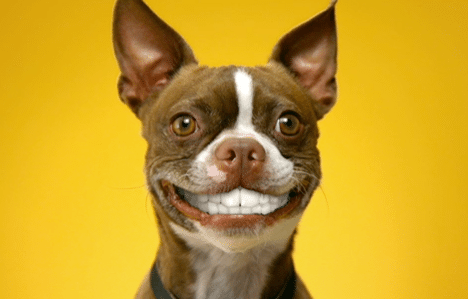 The time and effort you commit to this process, can make a significant improvement in your pet’s dental health. This will impact the quality of life of your pet and will enhance the bond that you share with your companion. Visit our Boutique Pawville inside the Timberlea Vet Clinic, to get your dental starter kit!